Give your Napoleon fireplace a traditional touch with these Napoleon Set of Two Black Andirons. These black andirons allow you to have a gas stove, but still get more of that traditional, sometimes decorative feel of a more traditional fireplace. What are the specific dimensions of these? These andirons are manufactured specifically for a collection of Napoleon's direct vent gas fireplaces. 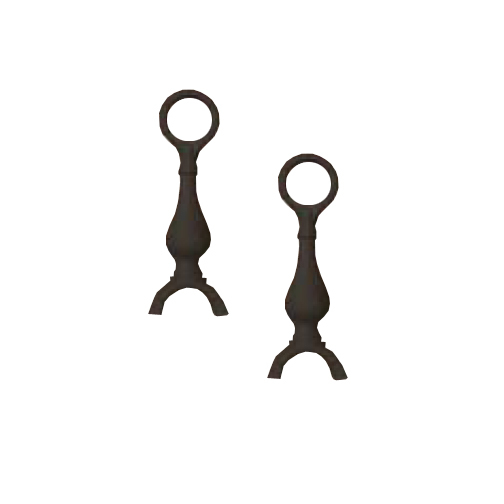 These cast iron accessories measure 12" in height.